Congratulations to Dawn Hagan (and boyfriend Joe) as they became a first time Mam and Dad to Vincent Edward Duffy on Monday the 17th July. 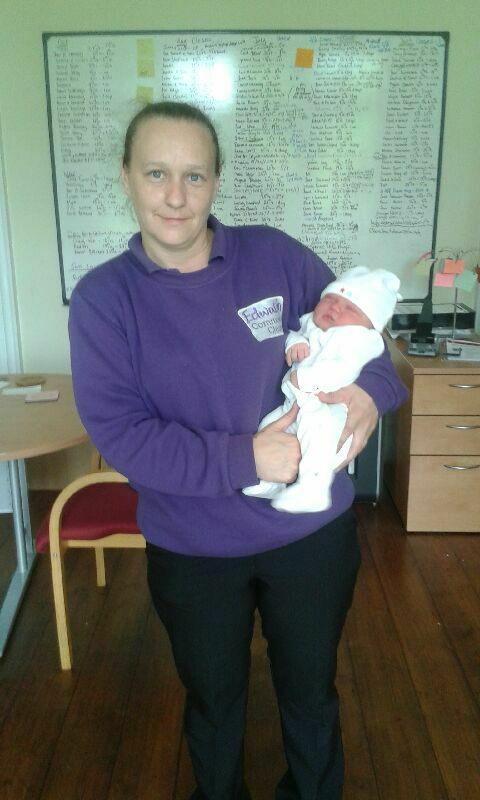 Tina (Dawn’s Mam) now becomes Nana T and was so thrilled with the arrival of Vinnie, Nana T brought him in to the office for some cuddles! Although Dawn has worked with us for three years, Nana T has worked with us for ten! We look forward to seeing a lot more of Vinnie. Cheap can end up being expensive for your business – don’t cut corners on your cleaning budget. We are surrounded by germs especially in confined areas where people are working or interacting in close proximity with one another like the office or school or hospitals and medical centre’s they are at particular high risk of the spread of germs. Due to huge expansion we’re looking for an experienced Operations Manager to join our family business. You’ll need to be a real ‘team player’ a good organiser and motivator and know how to liaise brilliantly with customers.